There’s nothing my son would rather do than swing in the sunshine on any given day and as chief swing pusher, I love to see him delight in such a simple pleasure. Left Hand Make have the most beautiful hand-crafted swing made from birch plywood that’s softly contoured to make for an easy, comfortable ride. 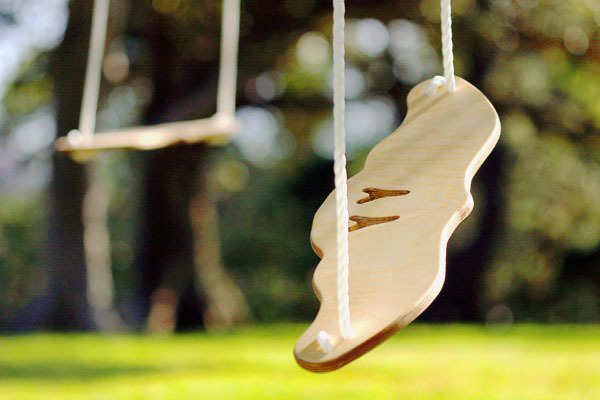 Not only will the Soar swing bring plenty of smiles and giggles, it’s gorgeous to look at in its bird shaped glory. Be prepared for chants of “higher!” and “more!”, as children never seem to tire of swinging. We’ve featured Left Hand Make before with their scrumptious Small One table and chair set. Their products are consistently charming in design and the attention to detail is just superb! See Chris Byrne talk about the Soar swing in our recent Kids Instyle video. 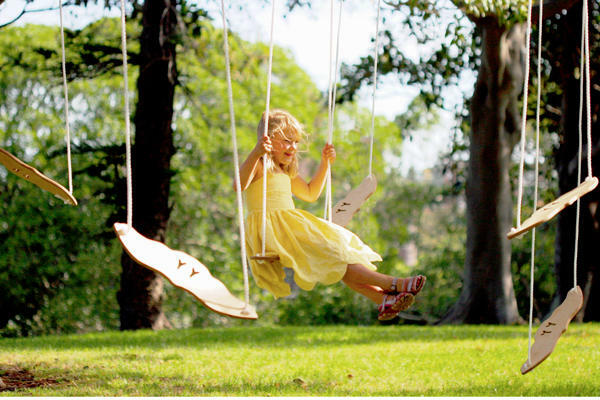 Order your Soar swing from Left Hand Make for $59 inclusive of Australia-wide delivery.